When we think of greenhouse gas emissions, some of us might envision a tailpipe spewing exhaust… but 40% of the carbon dioxide that contributes to climate change actually comes from buildings. While some of that is a secondary effect of operational needs such as electricity, A/C, and heating, many GHGs arise from resource extraction, manufacturing, and production of the building materials themselves. Today’s series walks you through choosing materials wisely, and ensuring that those you select—as well as the resources it took to produce them—are a part of the whole picture of a sustainable home. 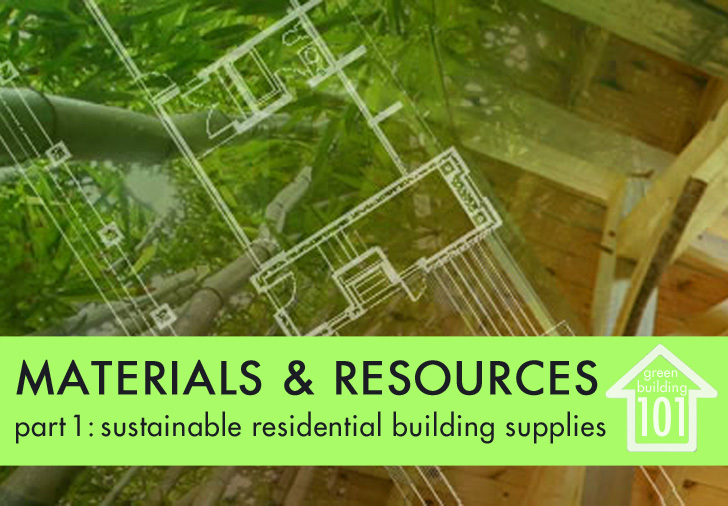 Of all the criteria covered by LEED-H and our own GreenBuilding 101 series, this section on materials and resources has perhaps the broadest application and relevance. These are the very ingredients that go into a building, and choosing them wisely makes all the difference in terms of the overall impact of the structure throughout its life. This is where “environmental footprint” or “life cycle assessment” come into play; these materials are in the picture from the first round of planning to the final stages of demolition or renovation. 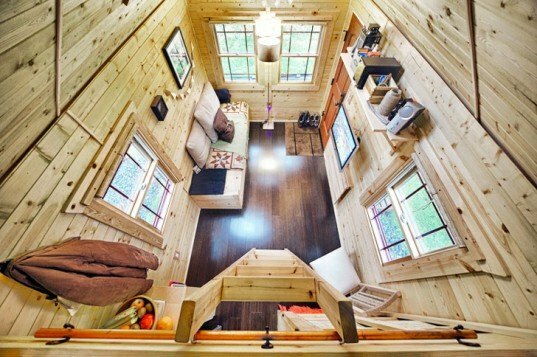 One of Inhabitat’s recurring themes is the virtue of a compact space, like the Tiny Tack House shown above. On the spectrum of difficulty in shifting towards a more sustainable lifestyle, consolidating your space is a pretty easy way to live more efficiently. A smaller home takes less material to build, and requires fewer resources to maintain indoor comfort; these days, some of the most elegant and innovative interiors emerge from a creative use of compact quarters. There are plenty of reasons to love prefab houses, and where material efficiency is concerned, it’s all about the frame (or lack thereof). Replacing stick framing with wall panels saves resources and diminishes waste, and the NRDC has created a handbook for efficient wood use in residential framing. Basically, where wood framing is used, optimum value engineering (using fewer framing members within code compliance) can cut down on the use of wood by 11-19%, and lower framing costs significantly. Or, better yet, eliminate wood framing and use prefabricated building components (panels and trusses) that are more efficient, durable, flexible and generally make for a tighter building envelope. SIPS (structurally insulated panels) use oriented strand board, which is produced from smaller trees that can be harvested sustainably. They have EPS (expanded polystyrene) rigid foam insulation in their core, which means fewer drafts, less noise, lower energy bills, and a more comfortable indoor environment. How does one decide if one material is more environmentally preferred over another? At this point the best answer to the question is simply to ask a lot of questions. It also helps to compare apples to apples. For example, rapidly renewable bamboo or plyboo is a good alternative to traditional oak flooring, but if reclaimed oak is locally available, it may be wiser to opt for the product that doesn’t come from China… unless you’re in China, of course. A number of useful checklists can be found, such as LEED-H, Built it Green or Healthy Building Network’s long list of Key Questions for Environmentally Preferable Building Material Selection. This one relates back in large part to our discussion of sustainable sites. The conditions under and around your home determine the ability of the structure to withstand all sorts of potential challenges to its integrity, not least of those being moisture, wind and temperature fluctuations. This is also tied into considering the offerings of local resources, as the naturally-occuring materials in any given location are most likely to be durable within that region. It’s smart to do your research in order to address not only weather-related issues, but also insects, function, and even style. Because the word “sustainable” is open to interpretation, any manufacturer or marketing team can call their product “green”, among the many other eco-friendly buzz words out there. Several third-party certification organizations have cropped up in recent years, to help police those ever-clever marketing folks from twisting the truth about the endless products on the market. A good rule of thumb is to stick with the consensus based certifiers like LEED, FSC, and EnergyStar, and be cautious of trade association greenwash labels that may create certifications to aid their own sales. Healthy Building News has a great article called The Label Game that goes into depth on this topic. Recently the Brazilian hardwood Ipe has become a popular choice for decking and exterior cladding applications, due to its strength, durability, and corrosion resistance. 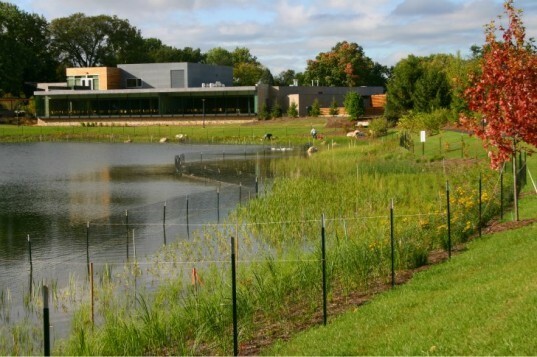 Few people know much about its native habitat, however, or that it’s covered in several feet of water for much of the year (which is how it adapted to be so hard and resilient). Just because a species of timber is long-lasting does not mean it’s a sustainable choice. If it’s not FSC certified, chances are the tree was logged by clear-cutting virgin forest, without plans for habitat restoration. Before specifying a hardwood, find out where it comes from, who’s supplying it, and if there are FSC certified woods available. EarthSource Forest Productsworks with designers and contractors to find cost competitive FSC certified woods, based on availability. In Bill McDonough’s famous 3-line vision for the transformation of design, waste=food. With this in mind, it’s best to turn as much of the material you discard at home into potential nutrients for plants and products in the future. 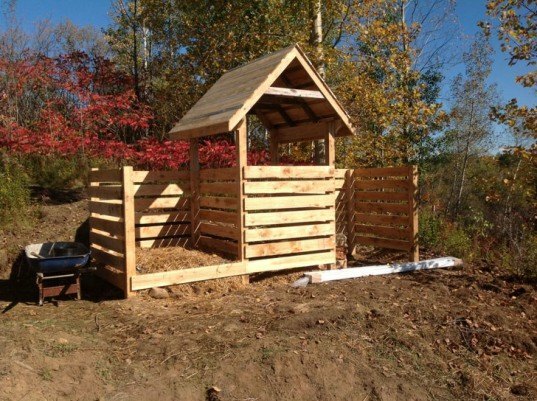 Start a compost bin, separate household waste into organic, recyclable, and trash, and then find ways to cut down on the size of that third pile. Outside, you have options, too: Where frequently we let rainwater get away, there are materials such as pervious pavement, which reduces storm water runoff and uses less overall material than impermeable paving. Most importantly, during construction, demolition or renovation, be conscious of the materials you’re tossing away. You can contact Habitat for Humanity to see if they can use any materials you’re discarding, or there may be a local organization that helps to mitigate waste and debris from going to a landfill. If you’re unsatisfied with your city’s recycling program, contact your local PUC (public utility commission) or better yet, call the Mayor! Stay tuned for part 2 of Materials and Resources coming soon. in forested areas, local timber framing can be much more earth friendly than any prefab system i've seen. SIPs are a mess of glues and foam which are an end-of-life product. not c2c. a wood frame can be disassembled, reused, safely burned, or composted. 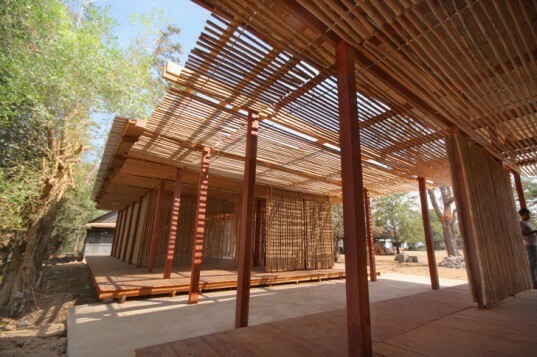 the wood can come from within a few miles of the building site thus supporting local economies and drastically reducing transport costs and emmissions. aside from the rare case where the manufacturer is local, sources local materials and designs for the locale, prefab isn't inherently a good thing. Thanks for this series; it's really great. However, there is no evidence (other than manufacturers' claims) that pre-fab uses less material than site built construction. The waste that is generated is concentrated in one location, but I have yet to see anyone substantiate the claim that there is less of it. Also, in the long term, replacing panels can be much more resource intensive than patching drywall. 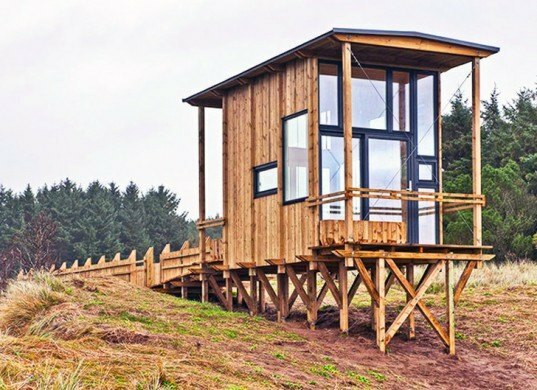 Prefab is great in a lot of ways, but I think the sexiness of it has a lot of people disregarding the efficiency of stick framing; it doesn't get more modular than that. 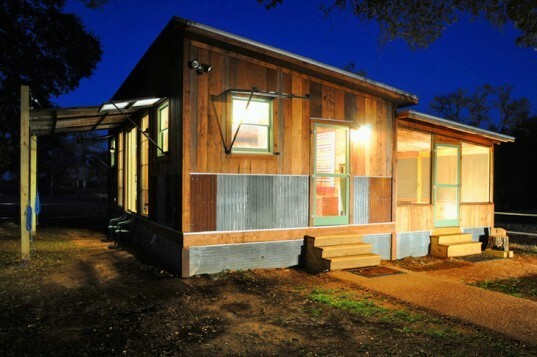 Not to mention that pre-fab is pretty much the most site in-sensitive building type, and the least local. Keep up the great work on this series! Piper - NICE JOB. This is fantastic - and a great place for a homeonwer to go and find out more about intelligent design. You go girl. Melissa- Thanks for the link- that sounds great! This new business model for greening buildings in which all invested parties profit and the end result saves energy seems to be cropping up simultaneously all over the place. Healthy trends at last! I always thought it'd be fun to rank the top worst energy hog establishments throughout the US and start competitions amongst students to bring their net energy use down to zero. Ha! Whoever wants to steal my idea- go for it!! When we think of greenhouse gas emissions, some of us might envision a tailpipe spewing exhaust... but 40% of the carbon dioxide that contributes to climate change actually comes from buildings. While some of that is a secondary effect of operational needs such as electricity, A/C, and heating, many GHGs arise from resource extraction, manufacturing, and production of the building materials themselves. Today's series walks you through choosing materials wisely, and ensuring that those you select—as well as the resources it took to produce them—are a part of the whole picture of a sustainable home.